DEBORAH L. MEDLEY (nee Davis) age 52 left us to be in the arms of the Lord Mothers Day May 8th. 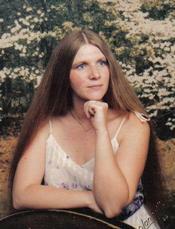 Beloved mother of Steven Jr, Tonya (Rick), Jason Sr (Shannon) and Corey; grandmother of Aaron, Deidre, Steven II, Logan, Jason Jr, Nathaniel and Jasmine; daughter of Louis and Fay Davis; sister of Lou II, Dan, George, Lou Jr and the late Janet; niece cousin and aunt of many. Always on our minds, forever in our hearts. Funeral Mass 11:00 AM Saturday, May 14, 2011 at St. Patrick Church 3600 Bridge Ave. Cleveland. The family will receive friends FRIDAY 5-9PM at BODNAR-MAHONEY FUNERAL HOME 3929 LORAIN AVE. CLEVELAND. Debbie always sang like an Angel, now she is singing with them. Thanks for the many memories and wonderful times that you and I had together. You maybe gone but you will never be forgotten! RIP Debbie. All of her family and friends are in my Prayers during this trying time in your lives! Much Love to all of you. Debbie will always be loved and missed greatly. I cant belive my bestfrend’s mom is gone.,I will miss Debb 4ever;( but I know she is in heaven watching over Tonya and her Brother’s and their familys…I know Debb is at peace…Gone way to soon…. Our prayers are with our wonderful family during this time. May the peace of God bring you comfort now and in the days to come. Missing you so badly right now Mommy…Your first born grandson Aaron Graduated over the weekend and we really missed you being physically there though we have in our hearts and on our minds everyday we miss you and love you Always, Always !!! I would like to express my deepest sympathy for th loss of a dear cousin. She will be missed by all who knew her & For her Father, mother, children, Grandchildren, & brothers, you will all remain in our thoughts and prayers. May god be with all of you dearing this sad time.May God bless you.. I will forever miss my cousin Debbie. I am thankful for the memories she left with me. Rest in peace Debbie! I have soooooo many memories of Debbie, and not one of them are negative. She was very loved and will be deeply missed. Love you DD!